There are some places that we visit during our quest that we just happen to meet the owner and/or chef of the joint. All of these instances can be described as a passing by greeting, a small introduction, or a full on conversation. 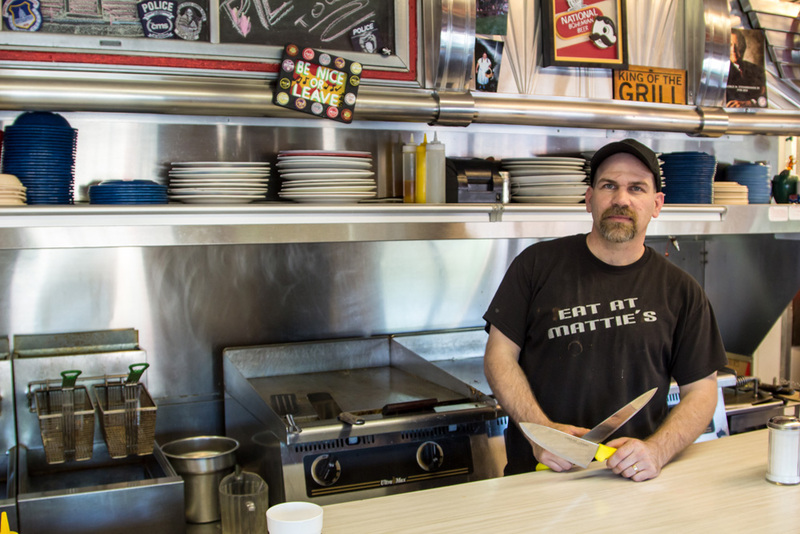 Then there is the time we just happened to meet Matt King, owner and chef of Mattie’S Diner, when we decided to go their for a review back in the early days of twenty ought ten (which you can check out for yourself here). 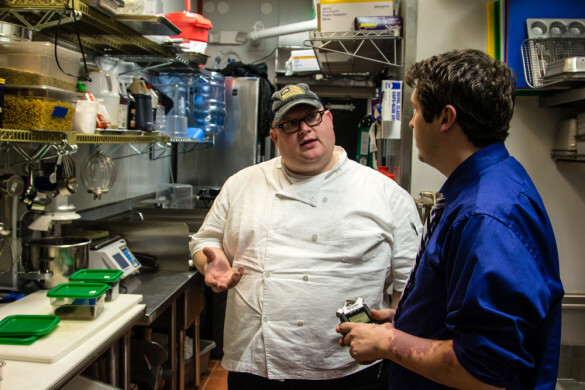 Matt King has the passion and knowledge for food (particularly burgers and diner favorites) that almost surpass his great personality. We were both excited to come back and speak to Matt to see how he and the diner were doing since our review. 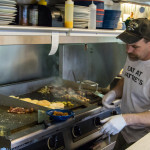 Charlotte Burger Blog: Before we start, I wanted to say that Mattie’S Diner is one of the big reasons why we started doing interviews. When we came in here almost 3 years ago, we sat down and talked with you. And we put a long section in our review of you just telling the story of this place, and it’s a great story. And we really enjoyed it, so first of all, thanks. Matt King: Oh, no problem. Heck, that gave us some good exposure. Believe or not, a lot of people mention you guys on the way in. 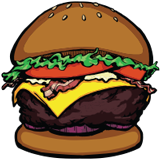 Charlotte Burger Blog: That’s awesome 1 Could you tell us where you are in terms of finding the Bound Brook Diner sign? Matt King: I forgot about it for a while, and it’s funny you asked me, like two weeks ago my brother texted me a picture. He was driving by, he still lives up there [New Jersey], and he sent me a picture of the Bound Brook sign as he was driving by. He said, “Still here.” And we put it up on Facebook and this lady got back to me just the other day with a message saying, “here’s the guy who owns it, here’s his number.” Because we couldn’t find it for a while, and we got so busy here that I just kind of let it go. So, I’ve got to call him, and I’m going to try to get it and see if we can just hang it up in the back. Do something, light it up. It would be cool as hell to have it because now we are up to 176 people that have eaten in the diner both when it was Jersey and now here. We keep a little guest log book, and I wish that we did it from the beginning, but we didn’t. 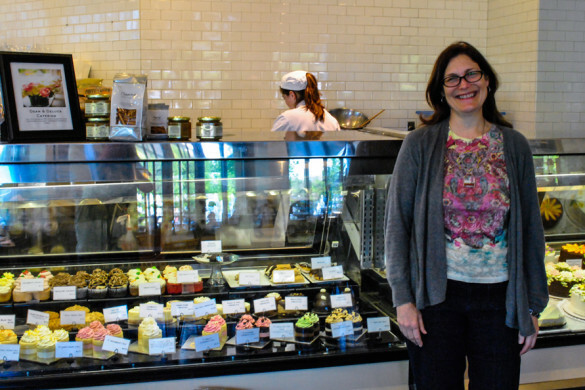 Charlotte Burger Blog: People come in, and say, “Oh, I ate at this place back in Jersey”? Matt King: Well some of them know, and some of them seek it out. They’re down here and they look for it. Anybody from Jersey, I don’t care who they are, they’re going to look up a diner. So some of them find out that it’s the Bound Brook and they come here because of that. But some of them come sight unseen, they get inside and they’re like, “Wait a minute, I know this place. This is the old Bound Brook Diner.” And that’s really cool to see the expression on their face at that point. I met one old lady who used to work here in high school. I met one old man who was in it in early 1950 when it was in Cranford, before Bound Brook, it was there for 5 years. Yeah, we’ve met lots of people. We only had about 30 people in our guest book because, like I said, we started late. I wish I had all 176. But every week we meet new people. 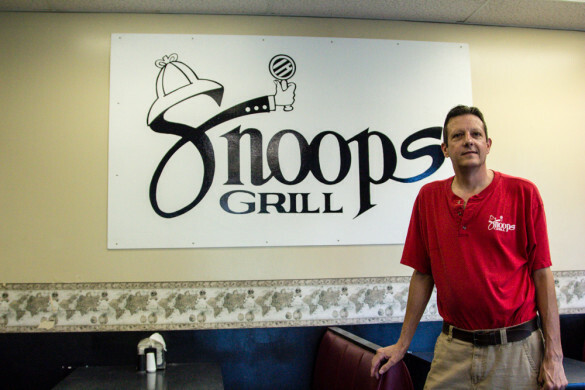 Charlotte Burger Blog: That would really cap off the renovations to have the original sign. Matt: Yeah, exactly. I know the people that come from there would really dig it. It would be great. We still tell the story all the time about how we found it and how it was in the water and all that stuff. Charlotte Burger Blog: You mentioned before we started recording how the diner has been used several times as a movie set. One time I came here and it was somewhat late at night and your “Open” sign was on, and I was hungry, and I opened the door and you were shooting something and I felt really bad because I interrupted it. I think the sign was on because it was necessary for the scene. It was a student film, if I’m not mistaken. Matt: That was my acting debut, actually. Charlotte Burger Blog: I remember that! You were up there in your apron. Matt: I remember you coming in the door now. It actually came out pretty good. 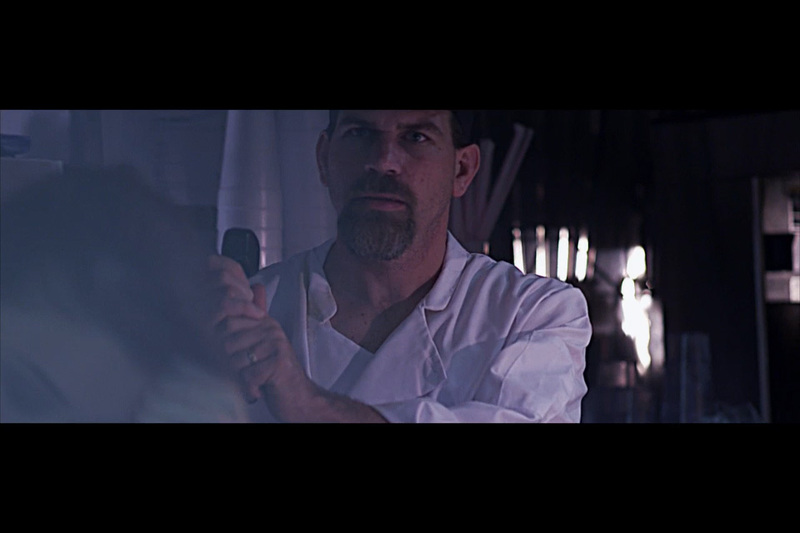 Here’s a picture of my acting debut. I have a little bit of an ego, so I was showing people. 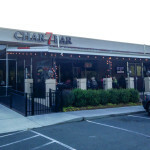 Charlotte Burger Blog: Since we came by for our review, have you done any changes to the menu? Matt: We’re in the process right now. Chris, who’s cooking for me, is an amazing graphics artist so he’s designing the new menu. We’ve created basically a secret menu. We have so many regulars now that have eaten here almost every day for the past three years since we’ve been open, so we’re constantly creating stuff and fooling around with stuff. Yesterday we did a new burger. It’s the 8 oz burger patty and tater tots, macaroni cheese, barbecue sauce, fried jalapenos, and American cheese. I don’t think I left anything out. That’s really good. We run a lot of specials. Talking about burgers specifically, we’ve got a fried burger. We use the chicken breader and we bread a burger with it. Deep fry it. Put it on top of a huge bed of french fries. Add either chili or white gravy, whatever the customer prefers. And then put fried pickles, fried jalapenos, onion rings, cheddar cheese, and hot sauce on it. It’s amazing. It’s huge, it’s like a frickin’ mountain on top of the table. The pizza burger is going back on there, that’s the mozzarella sticks and the pepperoncinis and marinara sauce. It turns out that the most popular burger is the Cowboy, which is what you reviewed, and the Reuben burger. People love that one. It’s just like a Reuben stuck on top of a burger. We sell more burgers than anything. That’s just the way it is. 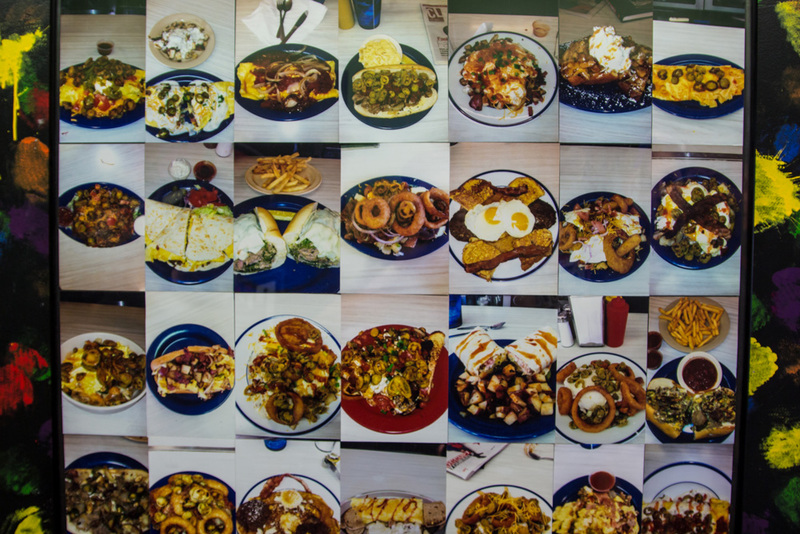 Charlotte Burger Blog: You’ve done some competitive eating or food challenge stuff too, right? Matt: Yeah, we kind of slowed down a little bit on that. It’s become our anniversary special now. I would like to do it a little bit more. I don’t know, but people stopped trying. I really think we made it too big. Nobody was able to win it and 30 guys tried it. We backed off a little bit, but we pull it out every anniversary. I even lightened it up a little bit. It was 4 and a half pounds of meatloaf and 2 pounds of mashed potatoes. I scaled it all the way back to 5 pounds, we did 4 pounds of meatloaf and one pound of mashed potatoes. Charlotte Burger Blog: So nobody did it. The challenge is out there. Matt: The challenge is out there. Come one, come all. August 10th, on Saturday. If you want to do it before we can do it before. Anybody can do it at any time. All they have to do is call me and give me one day notice and we can do it. That weekend we also do our pancake challenge, that’s ten competitors against each other in 10 minutes. The winner last year was a real skinny guy, scrawny, like he stands sideways and you can’t see him, and he ate 11 pancakes. And they’re good sized, man. You’re going to get full, regardless. I eat 3 and I’m full. But getting 11 down in 10 minutes? They’re dunking them in beer, dunking them in water, getting the plunger out. It’s wild, man. It was a cool day. I had long hair at that point, I got lazy. I said if we raised $1,000 for the Ronald McDonald House I would shave my head. So, we did it and I shaved my head. It’s a big deal for us. As you guys know, I worked on this thing for a long time, so to be open for three years coming up, it’s a big deal. Check out part 2 later this week.